Discuss. Solve. Explain. Understand. Know. The simple, diligent task of making amends. 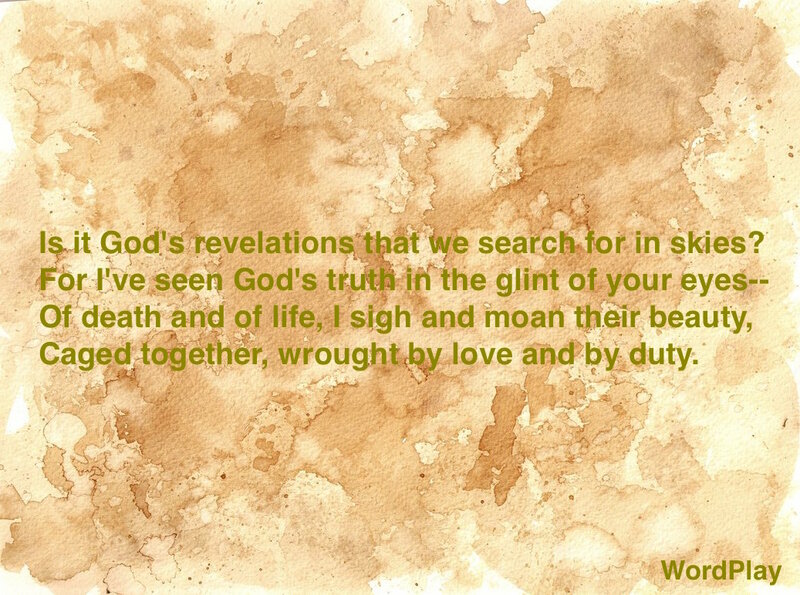 Is it God’s revelations that we search for in skies? At first we fear our path to timeless serenity. A vengeful tangle of thread littered by the Fates. I just wrote a paper for class (I attend a christian college) and I wrote about how when we read a scripture depending on where we are in life we will always get a different revelation. god has so many things to share and say, in art, in words, in relationship, through music; I believe we can find him.